Ever since Infinity Ward made known that they’ll be using their new IWNet service for multiplayer, the topic of whether or not a PC game has dedicated servers has become a rather hot one. Shorty after the now 165,000+ signatures-strong petition to get dedicated servers back to Modern Warfare 2, DICE and EA, on several occasions, have made it clear that Battlefield: Bad Company 2 will not go down the same road. And now a few other companies have touched on the subject. 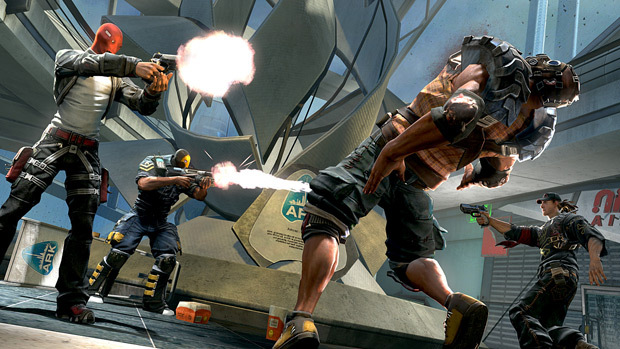 During a presentation of their upcoming Brink at Eurogamer Expo, Splash Damage owner Paul Wedgewood specifically pointed out that the game will have free dedicated servers available on day one. David Brickley, the senior producer at Rebellion, the developer of Aliens vs. Predator, however, is being a bit more cryptic about it. After skillfully dodging the question three times and pointing out that “running an operation like that is monumentally expensive”, Brickley finally said, “… the game is still quite a way from release so I guess there are other things to be determined during that time.” I’m guessing that’s a ‘no’ in non-PR speak.